The sides shared views on the development of bilateral relations and implementation of agreements reached earlier with the Russian President Vladimir Putin. The head of state thanked the Russian side for support in resolving the problem of exporting of the Moldovan goods to the Russian market in transit through the territory of Ukraine and expressed satisfaction that dozens of economic agents had already delivered their products without paying customs duties. 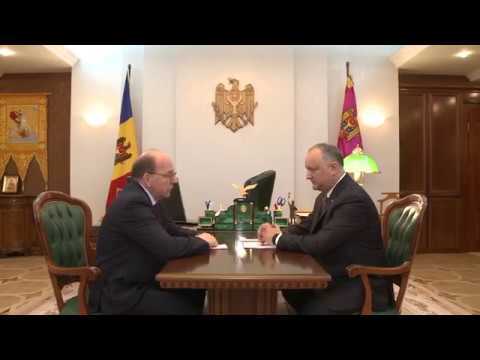 “This will contribute to an increase in trade between Moldova and Russia soon”, mentioned Igor Dodon.